The ceremony will take place July 13 and air three days later on Nickelodeon. Swimming superstar Michael Phelps is set to receive the Legend Award at this year's Kids' Choice Sports Awards. "I am a kid at heart so it really means a lot to me to be recognized by Nickelodeon with the Kids' Choice Sports Legend Award," said Phelps. The record-breaking athlete has won a total of 28 medals, 23 of which were gold, in his career, making him the most decorated Olympian in history. "I had a goal to do something that nobody had ever done before, and with a lot of hard work and dedication, I was able to turn my dream into a reality," he said.Phelps will be the fourth recipient of the Legend Award, joining five-time NBA champion Kobe Bryant, soccer legend David Beckham and five-time World Series champ Derek Jeter. The award honors "athletes who are the ultimate role models to kids across the globe, inspiring generations year after year." 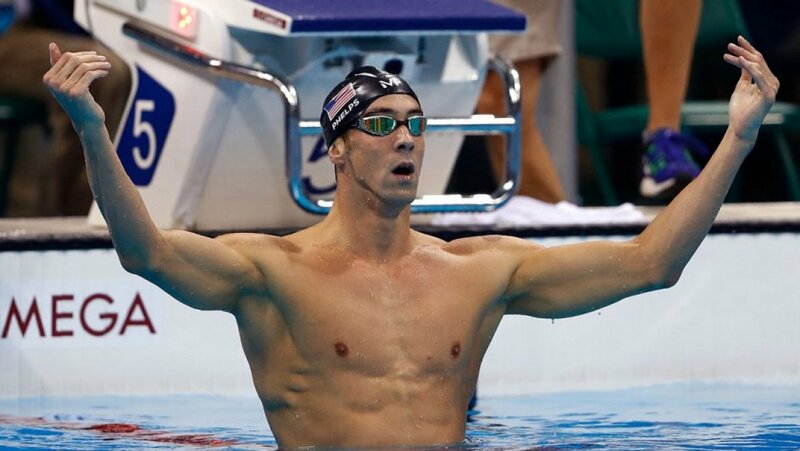 "I want to encourage all kids to dream big, set goals, follow their passion and always remember that anything is possible if you put your mind to it," Phelps said. The Kids' Choice Sports Awards will be taped live July 13 at UCLA's Pauley Pavilion in Los Angeles and will air July 16 at 8 p.m. Seattle Seahawks' two-time Super Bowl quarterback Russell Wilson will return as host for the third time.